Note: Your guess is as good as mine with some of these lyrics, 'cause they were not printed on the album's liner notes! Or some other kind of rancid scent. Live tracks recorded by Brian Garcia at the Abyss in Houston TX, in June 1996. 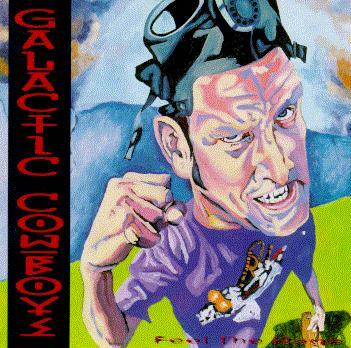 Tracks 1, 2, 5, 6, 7 written by the Galactic Cowboys. All songs copyright ©1996 WB Music Corp./Sharp Blade Music/Galactic Noise Music ASCAP, administered by WB Music Corp, unless otherwise noted.